Cloud9 | Videos | How to use JQuery customizations in Dynamics 365 portal forms? How to use JQuery customizations in Dynamics 365 portal forms? 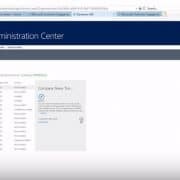 This screen cast video is about JQuery customizations in Dynamics 365 portal forms. I demonstrate here using rather simple scenario that what are the possibilities and how to develop the code. 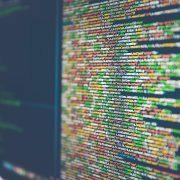 Furthermore, I show you how to use browser developer tools to debug the JQuery code to verify and troubleshoot your JQuery. 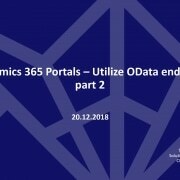 This is the third part of my Dynamics 365 portal video series. In the first part, I showed you how to install the Dynamics 365 portal instance and how to make basic configurations into it. In the second part, I showed you how to do the portal UI customizations. There will be more coming up so thank you for watching and stay tuned for more. 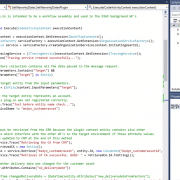 How to make Dynamics 365 Web API queries using OAuth? How to setup Dynamics 365 Unified Service Desk and how it is used in Call Center scenarios? 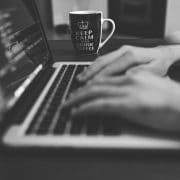 How to setup Dynamics 365 Portals? © 2018 Cloudriven Oy. All Rights Reserved.